Students are encouraged to vote in this year's elections for their Student Organization representatives. 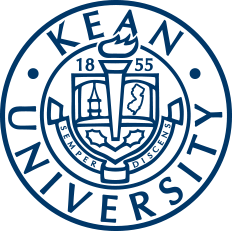 Student Organization of Kean University acts as the voice of the undergraduate student body by attending to their concerns. Students will be able to vote in the 2019-2020 Student Organization Election for their preferred candidates until Thursday, April 4 at 5 p.m. through the ballot found on Cougar Link. Matthew Sussman is a junior criminal justice major at Kean. Sussman transferred into Kean from Middlesex County College. He believes working as executive board president will help him get the skills to earn an internship in the future. Francois Zebaze is a junior finance major. She believes her upbringing has molded her into a leader. Zebaze is currently the junior class president and believes that her experience in this position has made her fit to transition into being the executive board president. Taylor Davis is currently the executive secretary for Student Organization. She has held multiple leadership positions since she joined Student Organization in her sophomore year. These positions include sophomore class representative, junior class secretary and assistant secretary. She believes the experiences she garnered from these positions have made her fit to be executive board vice president. Tristan Leneus is a sophomore political science major. He currently holds a position as secretary for the sophomore class in Student Government. His experiences in Student Government have helped him to grow his skills and leadership capabilities. He believes his love for Kean, experience and desire for an even better Kean will make him a great vice president of funded groups. Lucas Lopez is a junior business management major at Kean. He has taken on multiple leadership positions all throughout Kean, including being an involvement specialist for the Center for Leadership and Service (CLS), brother of Lambda Theta Pi Latin Fraternity, Inc. and resident assistant for the Office of Residential Student Services (RSS). 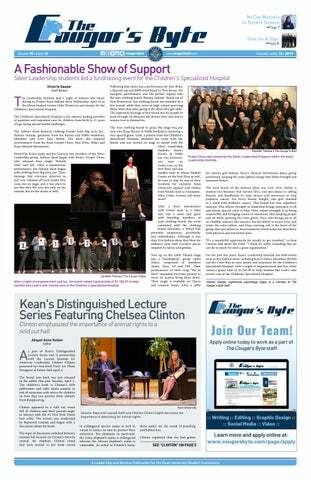 Lopez has been a part of uniting the Kean community in multiple instances in events such as a soccer tournament to fund raise for the Special Olympics New Jersey and Children's Specialized Hospital and an Adopt-A-Highway service trip. He believes he is ready to take on the role of vice president of funded groups. Shauna Ruutikainen is a sociology and biology double major at Kean Ocean. Ruutikainen has been active throughout her college years by working for the Academic Advising Office at Ocean County College (OCC), Kean Ocean Campus Life and as a senator for the Kean Ocean Student Organization. Patrick Salako is a junior finance major and currently holds the position as treasurer for the junior class. His experience as a treasurer has helped him to recognize the importance of communication, strategy, teamwork, finance knowledge and more. He believes his passion for finance and eliciting change makes him a great candidate as treasurer. Edward Wagner has served as freshman class senator and sophomore class vice president for Student Organization. Wagner has held many jobs including a position with the Office of Business and Marketing Management. He believes his multiple responsibilities has helped him to balance them, develop his work ethic and drive, fit for the job of assistant secretary. Amani Saleem is currently a senator for the freshman class. Saleem works hard to succeed in her academics and hopes to transfer her hard work into the position of assistant secretary. Michelle Perez wants to do more for Kean University by being assistant secretary. She believes she can bring a wide range of her skills which include: fluency in Spanish and English, planning, problem solving, open-mindedness, listening skills and more. Briana Lenard is a mathematical sciences major. She does her best to help people to her full capabilities and believes she is confident, kind, understanding and a forward thinker. Lenard hopes to be able to ignite a passion within her peers to work hard in school and excel in life through this position. Lindsey Gonzalez is a positive personality who tries to make everyone around her smile. As junior class president, she wants to encourage her peers to strive for success. Mekhia Baker is currently the freshman class president. She believes she has earned many leadership skills that she hopes to transfer into the role of sophomore class president. To cast your vote before April 4 at 5 p.m., visit Cougar Link. For more information on Student Organization, visit their Cougar Link webpage.